302 pages | 7 B/W Illus. The second edition of International Political Economy continues to be the perfect short introduction to the fundamental theories and issues of international political economy (IPE). Written in a concise, accessible style by an experienced teacher and scholar, it combines theoretical perspectives, real-world examples, and comparative policy analysis. The text offers students an in-depth, balanced understanding of the contrasting core perspectives in IPE, allowing them to critically evaluate and independently analyze major political-economic events. 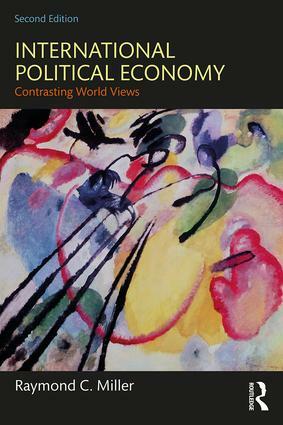 Having emerged from both the classical and modern schools of political economy, the book’s unique structure is organized around the threefold world view classification of IPE that the author labels as free-market, institutionalist, and Marxist. Responds to the call from eminent IPE specialists Robert Keohane and Benjamin Cohen for textbooks that take a pluralistic approach. This thoroughly updated second edition is essential reading for students of international political economy, economics, political science and global governance. 1 The Field of Study Known as "IPE"
Raymond C. Miller is Professor Emeritus of International Relations at San Francisco State University where he taught political economy for 43 years.